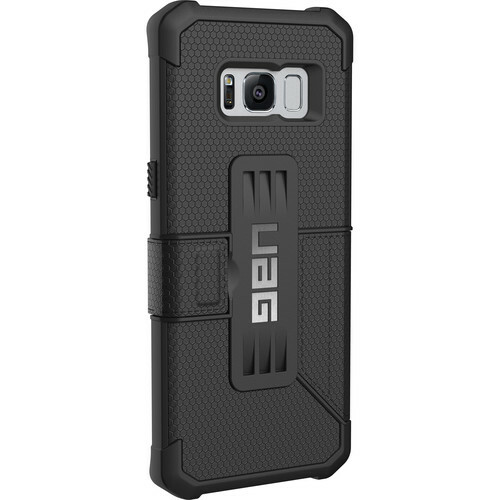 Protect your Galaxy S8 with the black Metropolis Case from Urban Armor Gear. This case features an impact-resistant lightweight core, a grippy, water-resistant exterior, and a folio cover to protect your device's screen. The inside of the folio has a card slot for ID or a credit card. The case is compatible with wireless charging standards. Box Dimensions (LxWxH) 7.6 x 4.3 x 1.0"